Taylor Holterman has held three internships in the agriculture industry. In a competitive job market, internships are opportunities to gain valuable experience for career-minded students. Interns are also valuable to companies interested in adding eager and ambitious workers. Interns from Wisconsin’s agricultural colleges fit the bill. Taylor Holterman, a student at UW-Madison, says her internships with the Wisconsin Veterinary Medical Association, Agri-Nutrition and animal health company, Merial, have provided her with the variety of experience to support her career goals. “I feel very fortunate to have a strong base of work in three different areas: marketing, communications and sales,” says Holterman, who is earning a degree in life sciences communications as well as completing a certificate program in entrepreneurship. The Professional Dairy Producers of Wisconsin internship program is valuable for both the intern and the organization. Mayer says interns are assigned an exclusive project with the PDPW staff providing support and guidance. 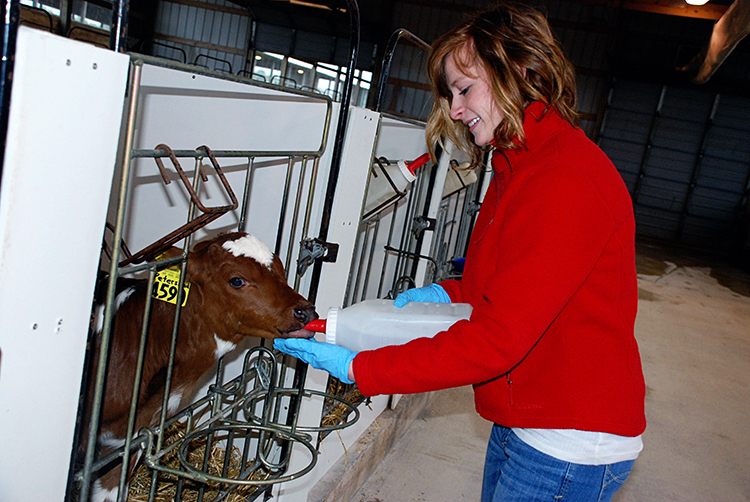 In addition, PDPW offers students hands-on experience through an internship exchange program that connects students with a network of dairy farmers looking for interns. It’s not a free labor program, Mayer says. The farmers commit to providing the student with a learning experience, and PDPW pre-qualifies farms. The Cooperative Network, a trade association of more than 600 cooperative businesses ranging from agriculture to energy in Wisconsin and Minnesota, also offers internships. The Cooperative Network has teamed up with the College of Agricultural and Life Sciences, University of Wisconsin-Madison to place interns. Bill Oemichen, Cooperative Network CEO , says many internships lead to job offers from the network’s clients. Students aren’t hired to do clerical work. They work on projects offering learning opportunities and a chance to contribute value. For instance, a recently hired intern is going to research the location and value of cooperative assets – member-owned businesses organized to provide goods and services – around Wisconsin and Minnesota, and prepare an analysis of the value of those assets. Such a report can help connect co-ops and customers, which is good for agribusinesses and consumers.